THE four-dimensional universe that we live in was born from two three-dimensional universes colliding, a leading expert has claimed. 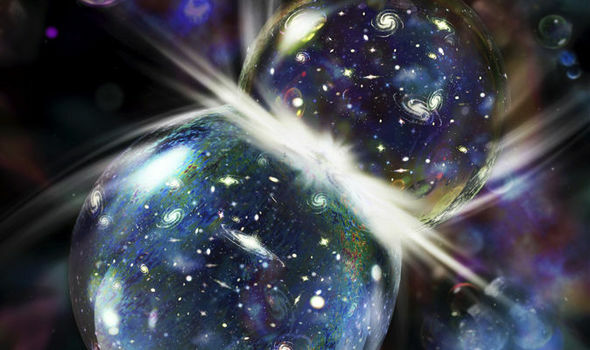 A Princeton University physicist claims that the universe was created when two 3D universes collided. The theory, known as the ‘Ekpyrotic Model’, goes against the conventional Big Bang theory, which suggests that the universe began from a single point and has been expanding infinitely ever since. While the Big Bang theory suggests that the universe began in a very hot and dense state, the Ekpyrotic Model dictates that it actually began extremely cold. Paul Steinhardt of Princeton University who proposed the theory said: “Instead of beginning with nearly infinite temperature and density, the universe began in a very different state - cold and nearly vacuous. The Ekpyrotic model suggests that “our hot big bang universe was created from the collision of two three-dimensional worlds moving along a hidden, extra dimension.